The long history of this object and the events associated with its arrival are less well known. 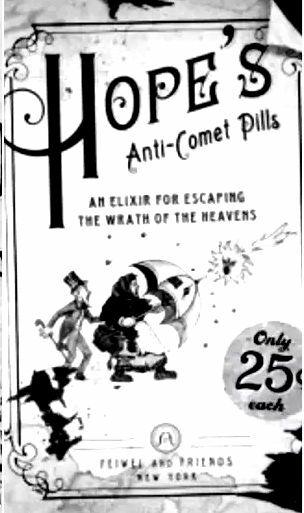 It is the latter I wish to address, after providing some essential history, including how the comet got its name. The comet we know as Haley’s Comet has been visiting us for 200,00o years, It’s a once in a lifetime celestial spectacle which last occurred in 1986 and the next predicted perihelion will be July 28, 2061 . 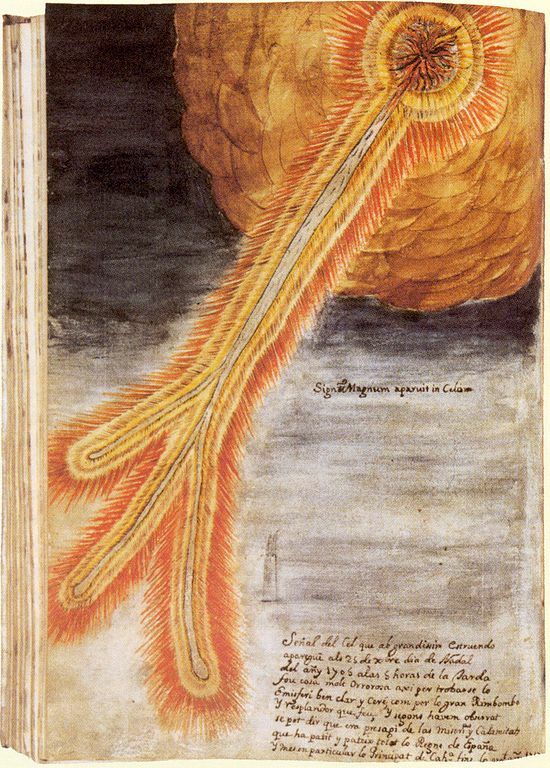 Halley published his findings, “A Synopsis of the Astronomy of Comets” in 1705, cataloguing what he had discovered from researching historical records of 24 comets from 1337 and 1698. Three of those observations were strikingly similar in relation to orbit and other parameters. 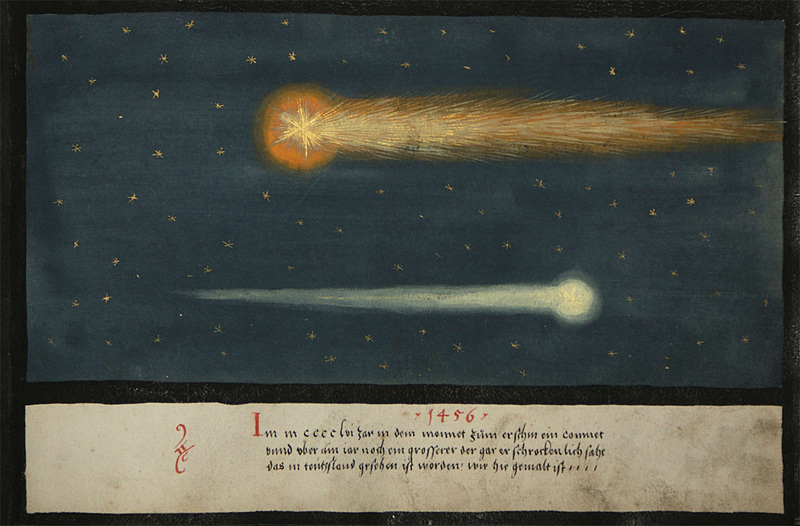 Halley proposed that the same comet appeared to be returning to Earth again and again. Based on the appearance of the comet in 1531, 1607 and 1682, he was able to predict that the comet could return to Earth in 1758. 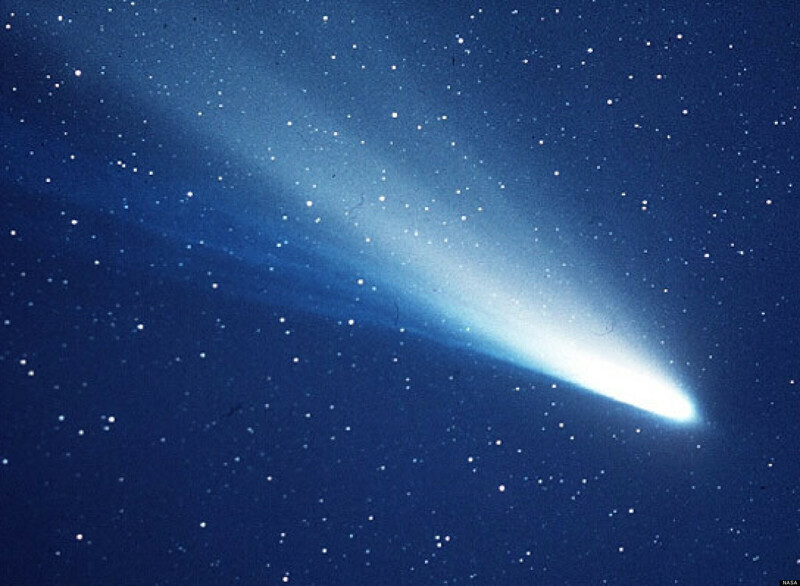 He wrote ““If it should return, according to our predictions,” he vowed, “impartial posterity will not refuse to acknowledge that this was first discovered by an Englishman.” Halley died long before that in 1742, nevertheless it was natural that the comet would bear his name. 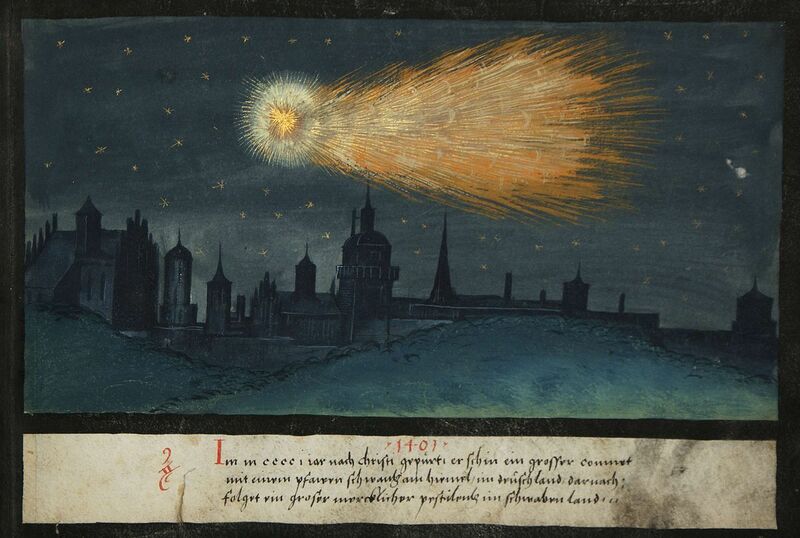 The comet returned on Christmas day in 1757. I will focus on three events that coincided with a visit from the famous Comet in which the world was radically changed in one way or another. 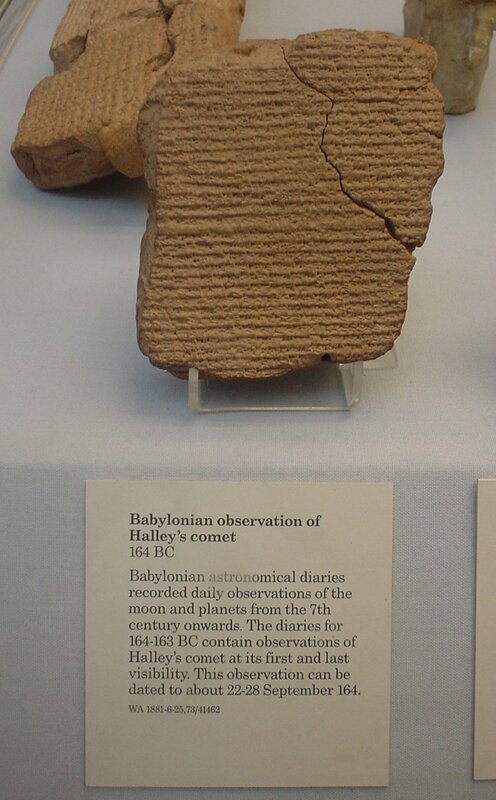 Halley’s Comet has been plummeting through the solar system for approximately 200,000 years. Comets had always had a sinister reputation according to ancient astronomers and astrologers alike. 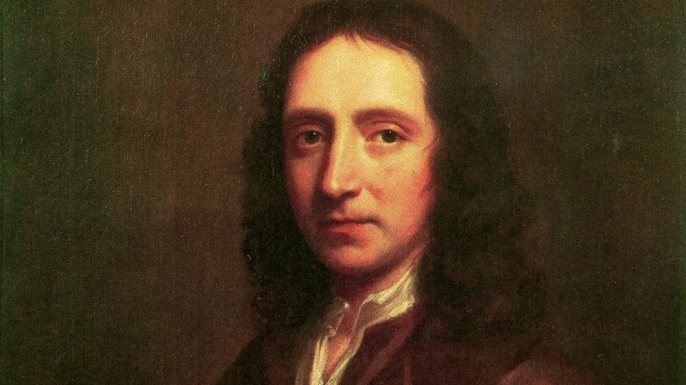 Halley has lived up to the reputation as a harbinger of massive changes in established order, including its coincidence with the destruction of the Temple in Jerusalem, described by Josephus a devastating attack by Ghengis Khan, the fateful and successful invasion of England by William the Conqueror. Halley is in fact included in the Bayeux tapestry. 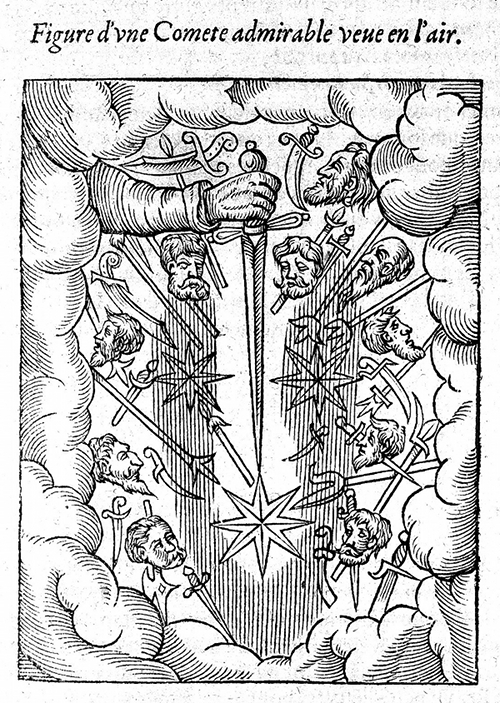 Josephus provides us with a vivid image of the comet and what ensued: “like men infatuated, without either eyes to see or minds to consider, did not regard the denunciations that God made to them. Thus there was a star resembling a sword, which stood over the city, and a comet, that continued a whole year. Thus also before the Jews’ rebellion, and before those commotions which preceded the war” (The Wars of the Jews J. BJ 6.288) The comet was Halley’s and the writer’s sense of horror is unmitigated. 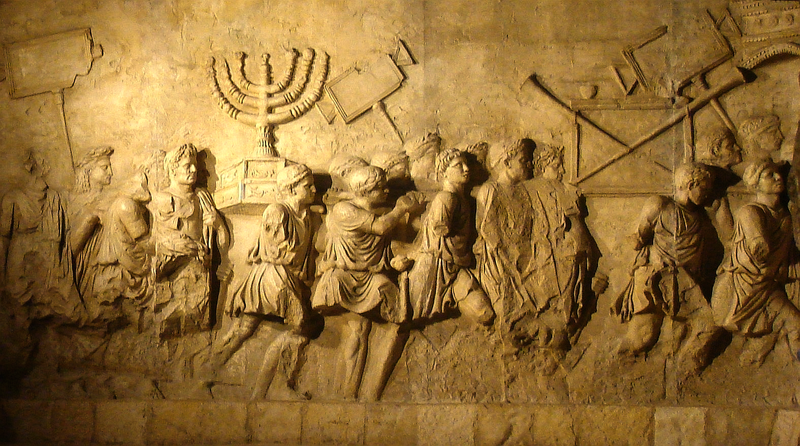 Roman soldiers brought back a Menorah and other holy relics from the Second Temple in Jerusalem. 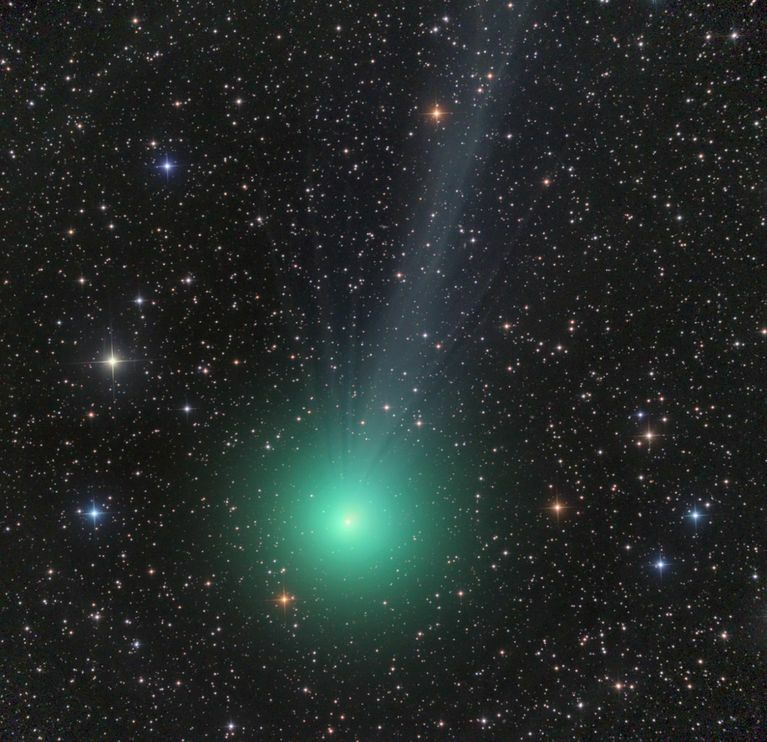 This event and other associated with a visit from the comet is of incalculable importance. It was the end of the temple elements of Judaism which has not been restored to this day. The Roman victory was massive, leaving the Jewish population in a state of humiliation and disarray. Alireza Salzberg writes “Jewish people following the destruction of the Second Temple. 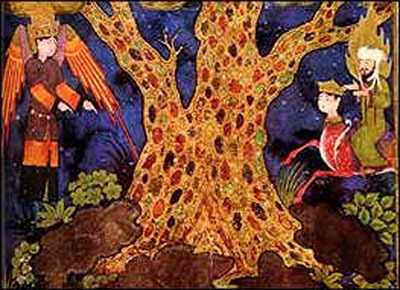 The story of the founding of Yavneh represents the birth of rabbinic Judaism, a way of life focused on Torah and Jewish law, rather than Temple worship or political sovereignty.” (Judaism After the Temple) The singular event of the temple’s destruction and desecration radically altered the path of Judaism for the next two millennia. Turning to the Battle of Hastings: “at that time a star appeared in the north-west, its three-forked tail stretched far into the southern sky remaining visible for fifteen days; and it was portended, as many said, a change in some kingdom”. (attributed to William of Jumiege). 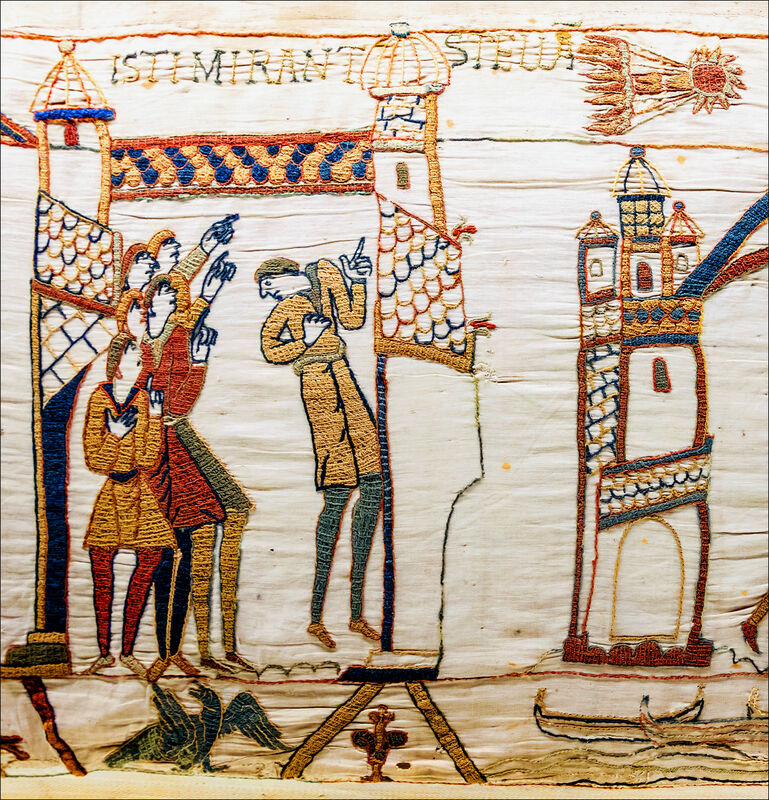 Halley’s Comet appeared above England 24 April 1066. It was immediately interpreted as signifying an event of considerable significance. It was believed that it was a divine symbol, a warning that the kingdom was in great danger. The main elements of the Norman invasion are well known. But it is sometimes forgotten that this was the most brutal battle ever fought on English soil. Needless to say, with a Norman king on the throne, the country would never be the same again, for better or worse. Comet lore is such that they are regarded as sufficient omens unto themselves. Most of the usual astrological considerations take a back seat. 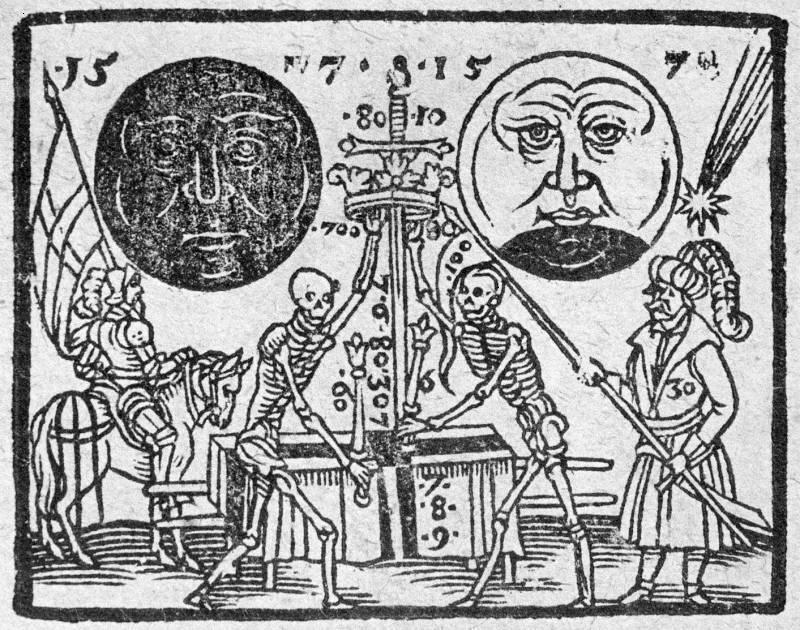 While it is true that not all visitations of Halley’s comet presaged disaster and mass destruction, there have been more than enough to assure it’s sinister reputation. But spurring on the Norman invasion of the British Isles wasn’t sufficient for Halley’s Comet Its return in 1222 augered far worse violence. 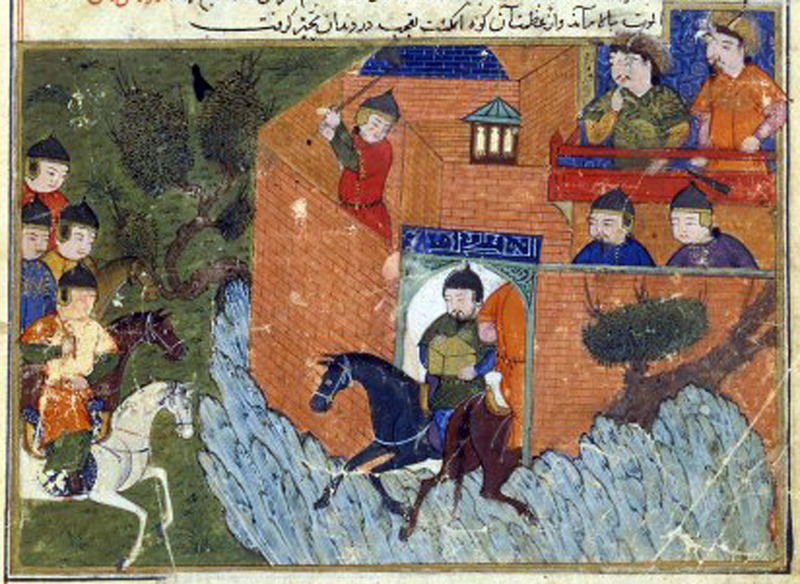 Genghis Khan considered the comet as his own personal star. The trajectory of the comet was westward and this inspired Genghis to travel west, instigating an invasion of southeastern Europe. Millions of Europeans were butchered, their towns and cities sacked. The comet always seems to favour the aggressor. It is hardly surprising that the visit of a comet (they did not yet know it was the same one) struck terror and foreboding in populations. There are of course dozens of other examples which lend substantial support to the ancient idea that comets are signs of devastation of all kinds. However, not least is the awe-inspiring 200,00 years of predictable returns which speaks of cycles longer than we usually consider of something that had appeared to be ephemeral. Further, the date roughly coincides with the emergence of modern human beings, making it something of a shadowy companion to humanity itself. When Halley’s Comet returned in 191o, it brought forth fear of an apocalypse because Earth would pass through a small part of the tail. The spectroscopic studies of comet tails conducted by Sir William Huggins revealed that among the many organic molecules found in comets was lethal cyanide gas. Speculation became hysteria in some cases, convinced that the humanity stood a very good chance of being asphyxiated by cyanide molecules. Newspapers fueled the panic, people sealed off their chimneys and doorways. There were many suicides, strange new remedies were offered for sale and oxygen sold for high prices. Apparently, many people also confessed to crimes they had committed because they believed they would soon be deceased in any case. Of course, every year has its share of disasters and political strife at least somewhere in the world. Nevertheless, 1910 is mostly remembered as the calm before the storm of WWI or the sinking of the Titanic. Although the details were entirely spurious, it is fair to say that the Comet was a sign of the events in the terrestrial world – that it somehow mirrored mundane events, rather than being the cause of them, I will concede that some of the other instances may require some reflection. It cannot be anything but auspicious to witness an emerald green comet in the region of Orion at the New Year. It was detected by telescopes in August, but in astrology we deal with the visible in our science of light. Comets or “hairy stars” have fascinated humanity since the dawn or time.. If you are in the Northern Hemisphere, It will be quite visible to the naked eye later in the month, but at present we have a waxing Gibbous Moon that will be Full on 04 January 2015. Objects require much less ambient light in order to be seen. To view it look towards the late South Eastern sky beneath the feet of Orion. It will appear to pass between Canopus and Sirius, the latter being the brightest star in the sky. 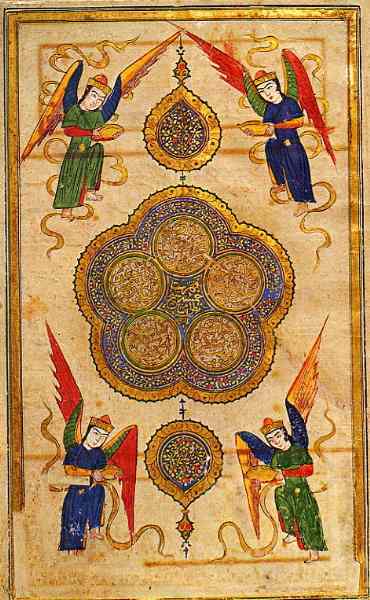 The reading of comets is an ancient method of divination, almost always used in tandem with other astrological elements. For the traditional reading of comets, I will be referring to Guido Bonatti’s On Mundane Astrology Trans Benjamin N. Dykes Cazimi P. 2010. From here on in I will refer to this as BMD. Bonatti asks us to look at the direction of the comet. If it is moving towards and / or has its head in for Taurus, “it signifies the killing of wealthy and great men in the northern part, and it signifies a multitude of differences between the wealth and the magnates and the rustics of the western parts … it signifies the bad condition of men and a scarcity of their good, and injuries of rebels against those who are in those region; which if it will appear in the west will be slower” (BMD 979). 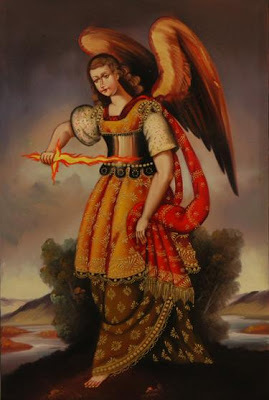 Countries ruled by ♉.– Persia, Great Poland, Asia Minor, the Archipelago, and the southern parts of Russia, the islands of Cyprus and Samos, and the port and vicinity of Navarino. It’s not surprising that these countries and regions would be highlighted as there is a very high possibility of conflict, particularly with the deteriorating relationship between Russia, NATO and the US. In Mundane Astrology several elements are considered to give more precise information. In this case however, we do have some confirmation rather than a prediction in the ordinary sense of the word. Southern Russia, including Georgia, Chechnya and the Ukraine, perhaps. Asia Minor esp. Turkey is part of the picture and there are strategic troop build-ups in Cyprus. Iran has been the focus if Israel and the US for quite some time. 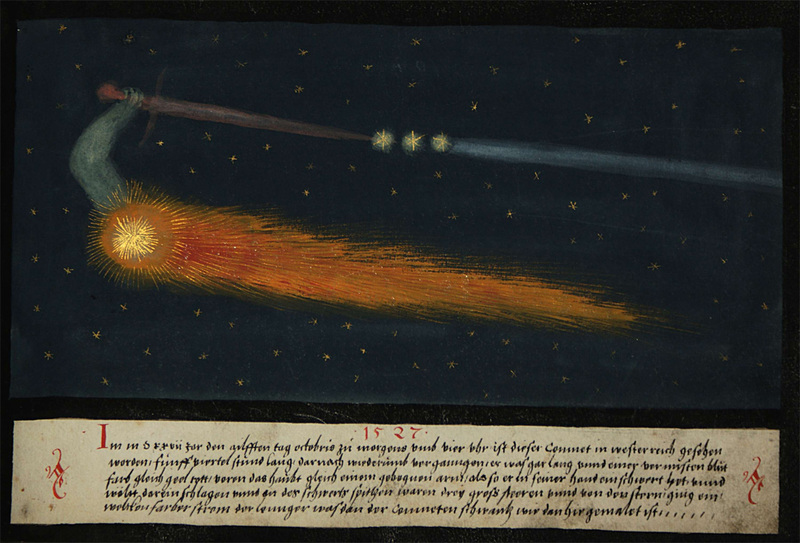 There are nine types of comets according to Ptolemy: the javelin, the tenaculum, the measuring0ros, a miles, the lord of ascona, the morning or dawn comet, the silver the rosy and the black “and he said the first four of these are likened to stars, And all signify wars and terrors and great events in the world” (BMD 986). 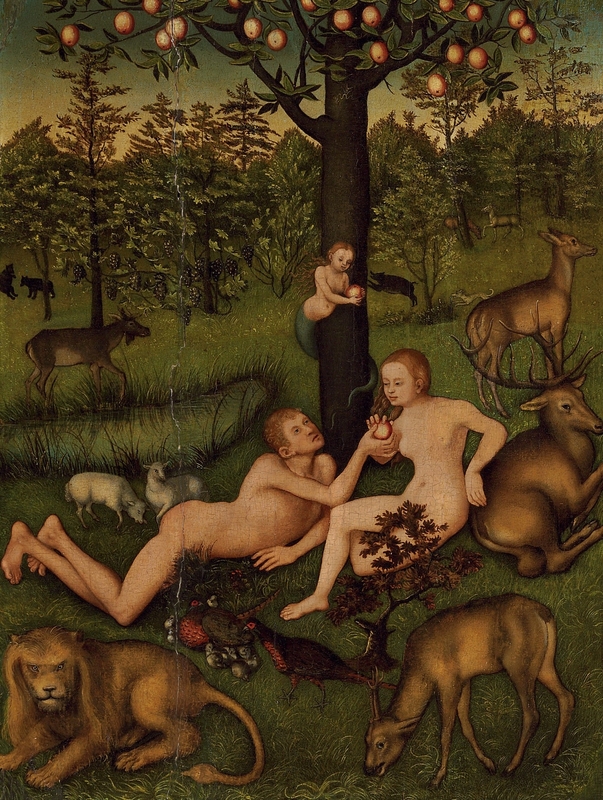 Ptolemy asks us to consider the colour of the comet, but his guidelines are far from complete. Green isn’t mentioned, but by association and process of illumination, I would suggest Venus – nevertheless her benevolence is all but lost when associated with a comet. Venus would also give us a further association with Taurus.